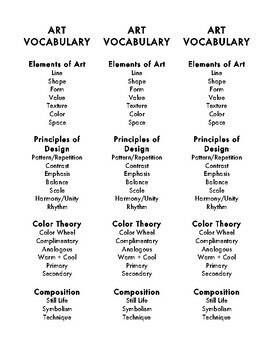 Handy reminder of the elements of art, principles of design, color theory, and composition. Print on colored paper, and slice into thirds. Students can pop these into their sketchbooks as placeholders; they're especially helpful during critique!